Once again, as we rapidly approach the June deadline, the Delaware General Assembly is boarding this administration’s economic stability/budget bus. Once again, the bus is fitfully careening forward on nearly flat tires. The primary reason leading to this predicament has been this administration’s policy of deflating those tires of their revenue by irresponsibly pushing policies and laws that have taken corporate welfare to a new level. The General Assembly and various agencies such as DEDO (Delaware Economic Development Office) are certainly complicit in this action and must share responsibility. If you listened carefully, you could hear the air (revenue) escaping when Delaware recently passed two pieces of legislation, suggested and supported by the administration, titled the “Delaware Competes” Act and the “Commitment to Innovation” Act, which will cut corporate tax obligations (revenue to Delaware) by over $65 million. Choosing to forfeit revenue during this moment of budget needs and shortfalls cannot be rationally explained other than in terms of irresponsible economic policy. It will surely result in a blow-out on some of those bus tires. Further compounding the exuberance to curry favor with the rapidly dwindling corporate mainstays in Delaware was the inexplicable approval of an additional $8 million to Chemours, a company that is on the brink of insolvency, and holds title to the next hazardous waste site threatening Delaware’s environment, known as the “Dioxin Pile.” The taxpayer can expect that cleanup bill soon. When one considers that this $8 million gift was approved on the same day that DEFAC projected revenues were reduced by over $36 million, one should expect collective gasps of incredulity from the media and even casual observers. Instead, we are met with an almost-stunned silence — a silence that is assumed by political leaders as a vote of acquiescence supporting this foolishness. When the governor’s Secretary of Finance, Tom Cook, suggests that leaks (revenue shortfalls) can be patched by additional revenue from fixed-income seniors, additional co-pays charged to the most impoverished Medicaid recipients, or benefit cuts to hard-working state employees, rather than supporting legislation, such as HB 216, that would recover some of the forfeited corporate revenue from the richest companies that incorporate in Delaware, I am flabbergasted. These suggestions all came after the DEFAC announcement that revenues were down as a result of falling corporate revenue obligations to Delaware. Let’s briefly examine the term of this administration regarding non-productive corporate giveaways. Since 2009, Delaware has granted nearly $250 million, in taxpayer money, to mostly large and wealthy corporations with the false logic that this policy will keep and grow jobs here in Delaware. Nearly $92 million (37 percent of that $250 million) has gone to six Fortune 500 companies since 2009. JPMorgan Chase recently secured $10.5 million in state taxpayer grants, bringing its three-year total to $22 million despite last year’s record profits of $24.4 BILLION. DuPont has pocketed $14.16 million and has paid the taxpayer back with over 1,500 layoffs while moving on to a lucrative merger with Dow. That number does not reflect additional tens of millions given to DuPont/Dow to encourage the spinoff company (Pioneer Seeds) to keep its headquarters in Wilmington. As a result of the administration’s filtering and distorting the full picture, the media has not adequately painted an accurate picture of the situation. The bulk of jobs in the agricultural spinoff arrangement, consisting of most, if not all, of the higher-paid research and manufacturing jobs, are headed to Iowa, while only the few jobs required to staff a headquarters will remain in Delaware. This amounts to a dramatic net loss of revenue for Delaware and its taxpayers. A classic example of the harmful effects of such policies on communities throughout the nation is the recent Nabisco Corp. abandonment of its Oreo production facility in Chicago, despite having secured over $40 million in grants to preserve jobs at this highly productive and successful facility. Nabisco chose to build its new Oreo production facility in Mexico to take advantage of the lower pay scale, resulting in a loss of 600 jobs in Chicago. This epidemic of corporate extortion erodes the taxpayer base, forfeits jobs and eventually constricts any chance of economic growth while leaving seniors, the impoverished and all hard-working middle class families to pay for the governor’s corporate philanthropy. I would respectfully suggest that Gov. Markell refill the tires on the bus before it careens off the precipice. Supporting and passing HB 216 to recover some corporate tax revenue would be a nice start. 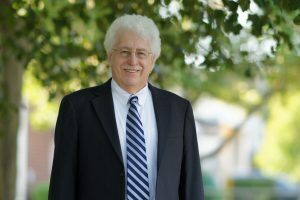 State Rep. John A. Kowalko Jr.
Posted in News Articles, Views.